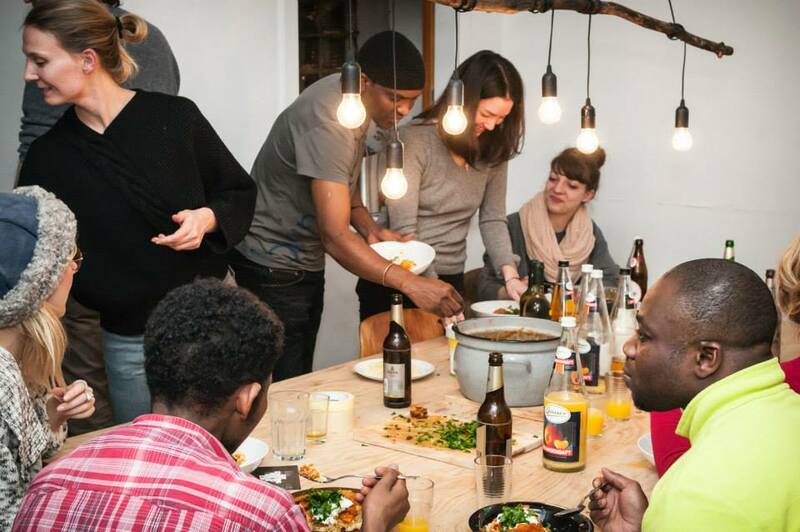 The idea is simple: newcomers meet up with other Berliners to cook, eat, share and hang out. 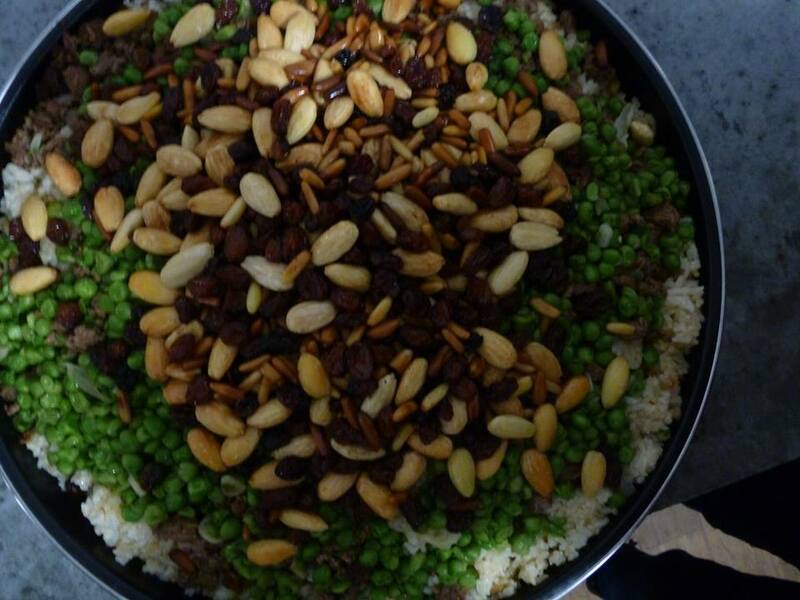 Since we started, in the summer of 2013, we’ve regularly enjoyed traditional dishes from Sudan, America, Syria, India and many other places all over the world. 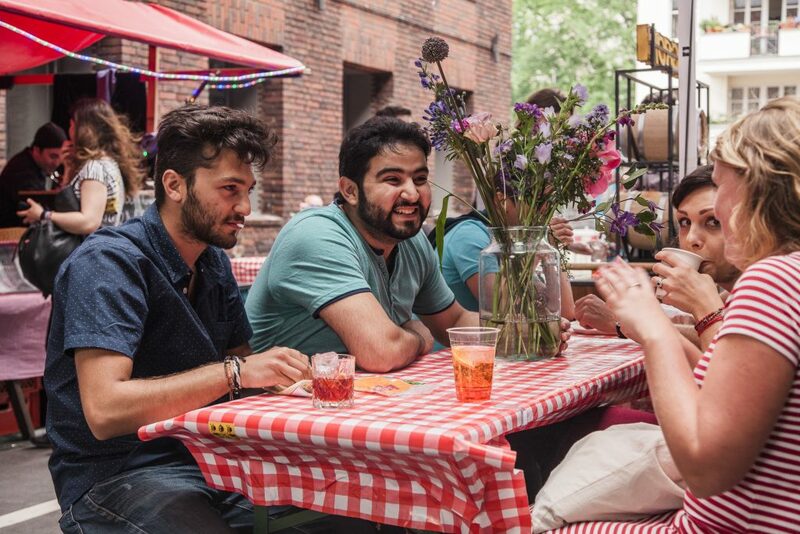 Our regular gatherings give newcomers the chance to make new friends, offering an escape from what can be a difficult life as the new person in town. 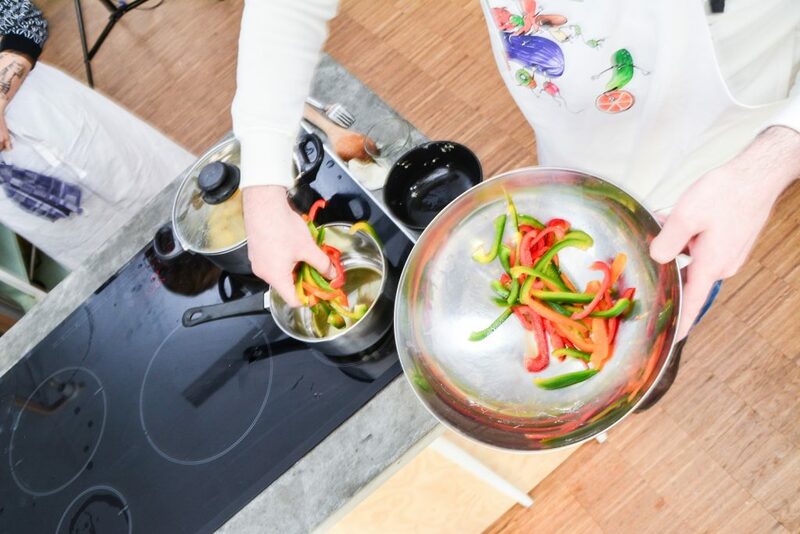 The Open Kitchen takes people out of their isolation in a new city and gives newcomers a chance to get to know new people through relaxed but purposeful activity where everyone has something to contribute. 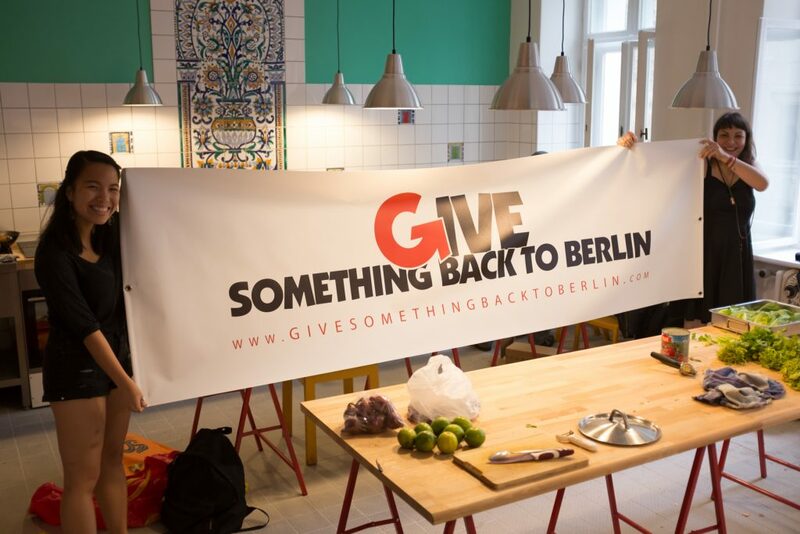 Originally called the Refugee Cooking Group, this was GSBTB’s first own project and was a close, joint effort with Berlin’s refugee community. 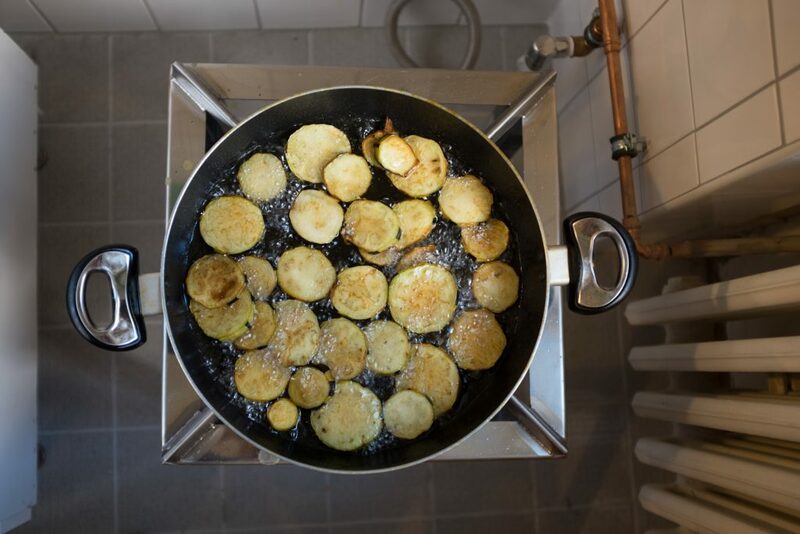 The cooking group goes back to very humble beginnings on Oranienplatz. This Kreuzberg square was occupied by refugees in 2013 to draw attention to the appalling living conditions for refugees all over Germany, at a time when this was hardly discussed in the media. 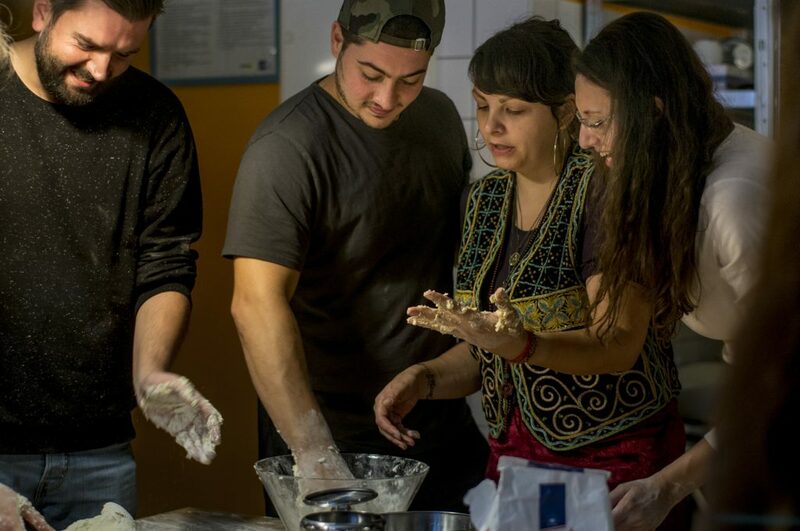 Berliners from all over met up at the square every week to cook in the tents and break down the walls created by terms like ‘refugee’. 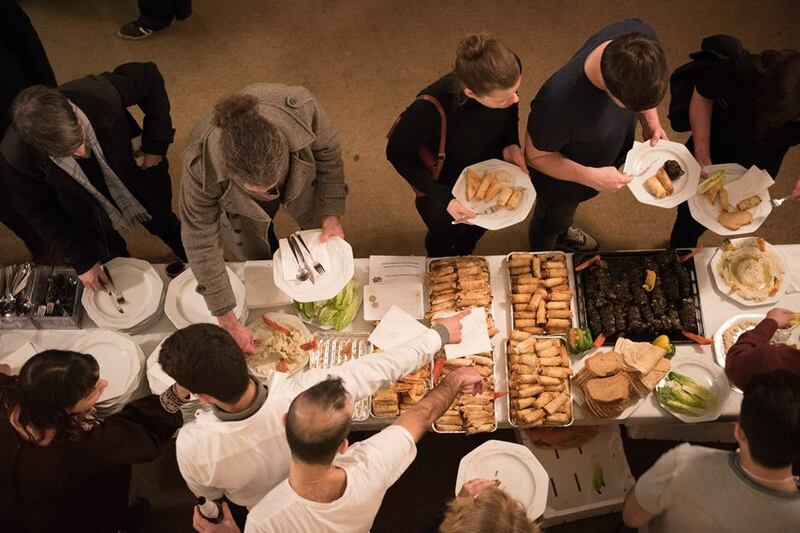 Since then we’ve cooked at the Gerhard Hauptmann Schule – the site of refugee rights protests in 2014 – as well as in Görlitzer Park and at the Martha Gemeinde Church. 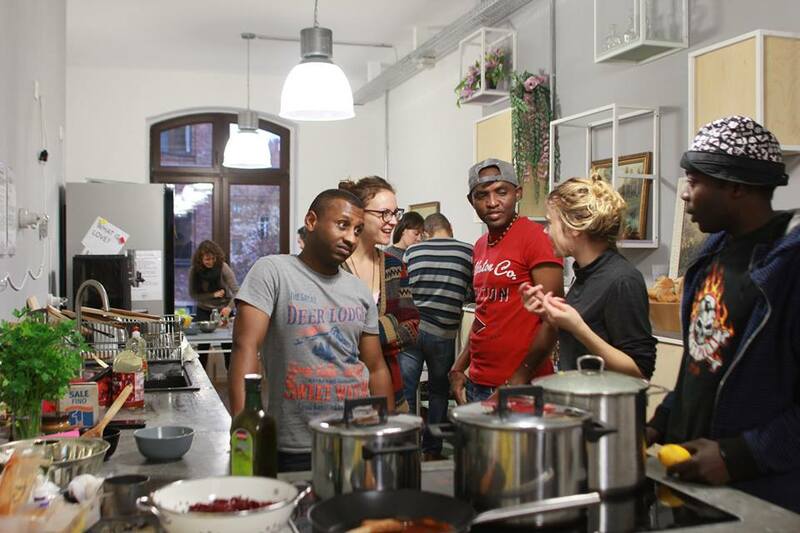 We moved our weekly cooking sessions to creative co-working space Blogfabrik in 2015, just down the road from where it all began at Oranienplatz. 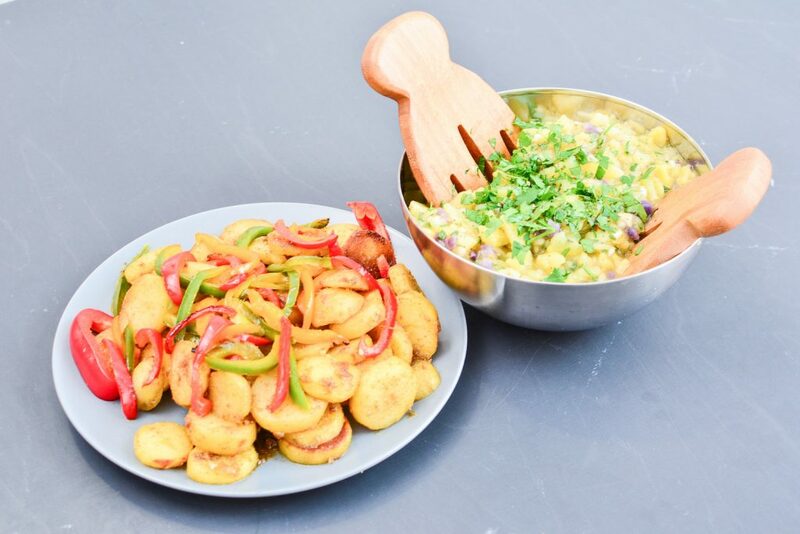 Now, since the summer of 2017, we have a monthly meet up and other regular dates in the kitchen and café at Refugio and we’re really excited about sharing this space and the beautiful rooftop with our community. 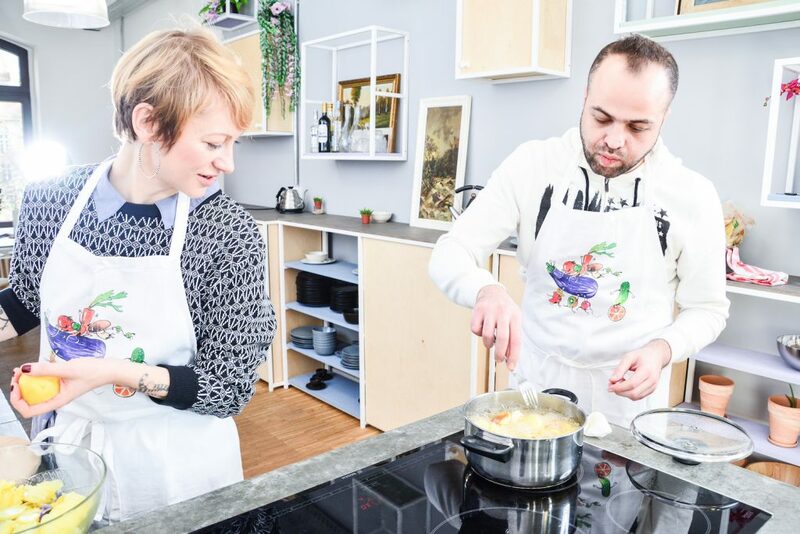 Ocassionally our group gets invited to serve up delicious international dishes at pop-up cooking events like Bite Club, United Street Food at Markthalle Neun, and has even catered at a Berliner Philharmonie event. 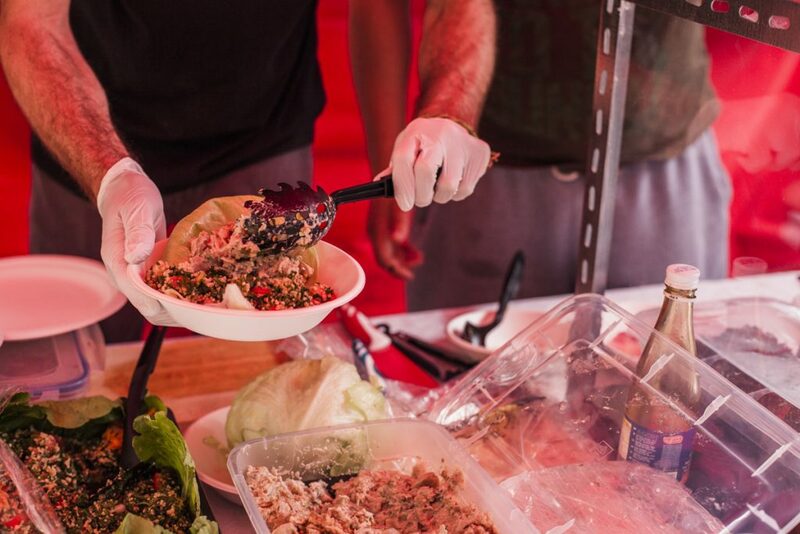 Here we run with the big guns, dishing up delights alongside some of the city’s best-known street food vendors. 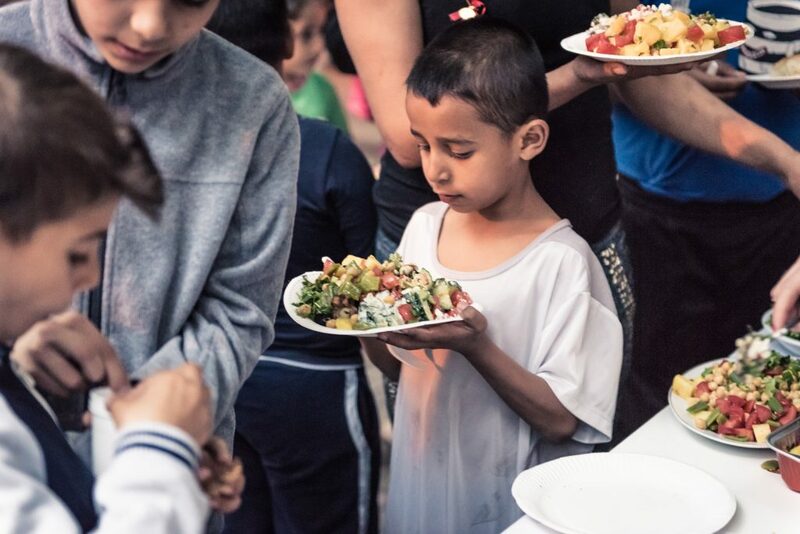 In this way the Open Kitchen provides chefs with a refugee background the opportunity to lead a team of volunteers to set a menu, shop, cook and deliver delicious food to hundreds of people – an excellent opportunity for growth in their new home. 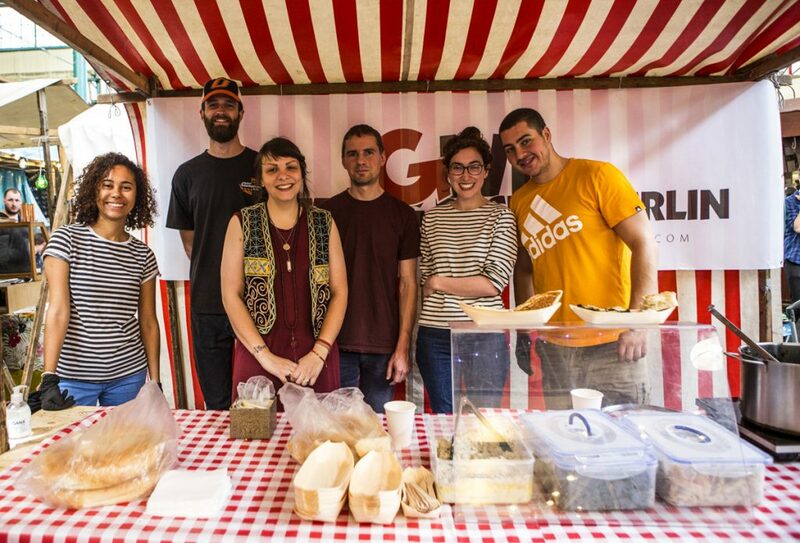 In this way, several people in our community have trained to work in gastronomy, got their first work experience here in Germany in restaurants and one has even opened his own street food stall. 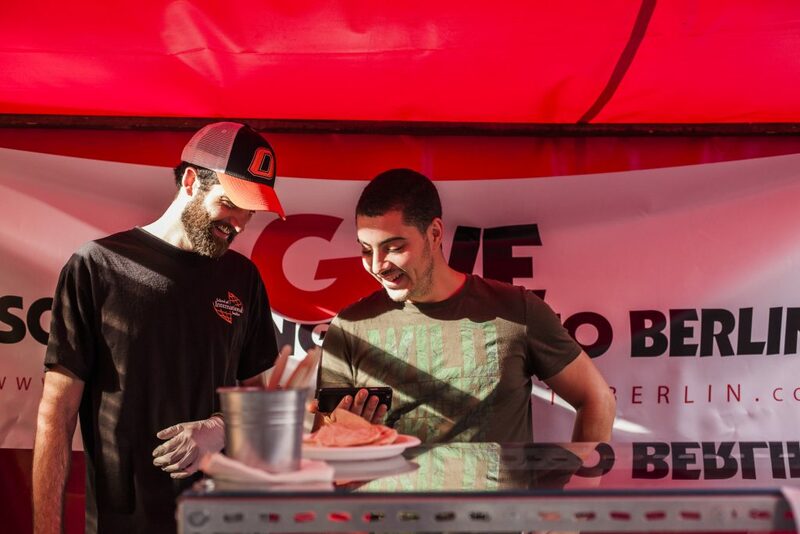 We rely on you, our wonderful partners and volunteers to help us make these events possible. 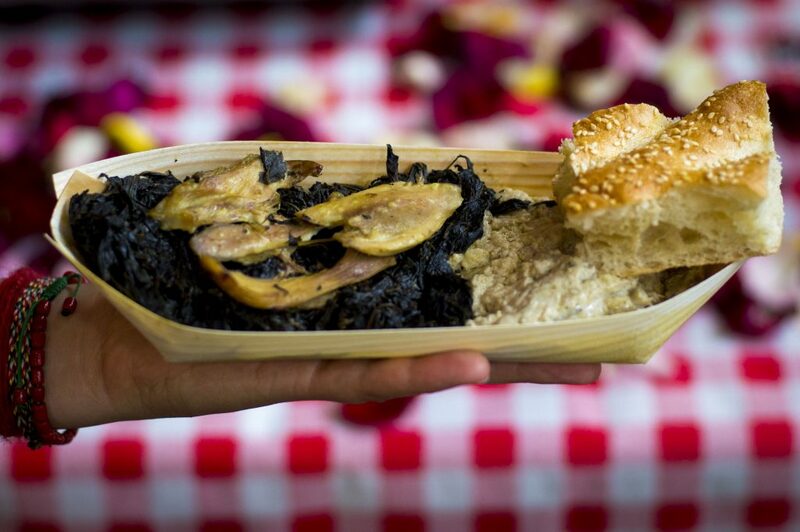 You’re sure to pick up some sweet culinary knowledge along the way! 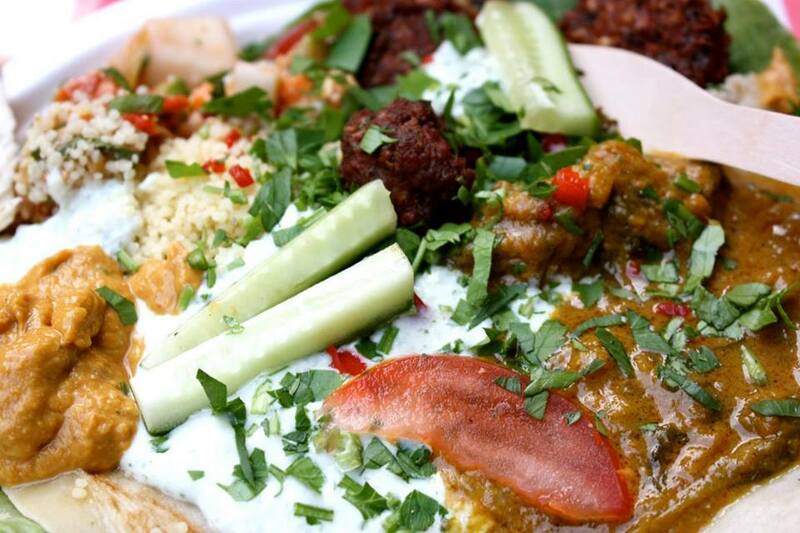 Please join our Facebook group or look in our events calendar to see our upcoming events. Any questions? Email Ricarda Bochat. Huge thanks to Booking.com for your support!